Pork isn’t my favorite type of meat. However, we found it on sale last week, so I needed to find a way to make it yummy! I went to www.recipematcher.com which is a web site where you type in the groceries you have and they list out all the meals you can make with what’s in your kitchen! I love this site! Here’s what it came up with. It was so easy and so cheap because we used what we had! Mix honey, soy and chili sauce. 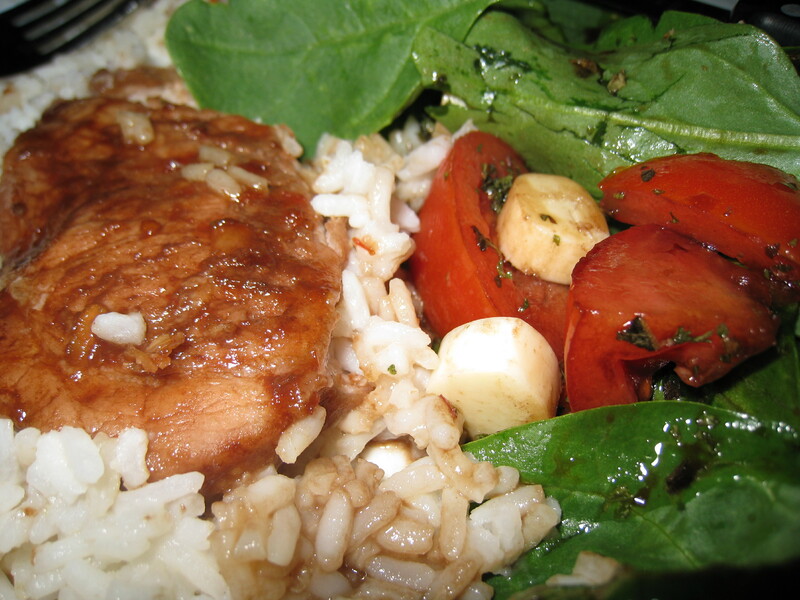 Place chops in a 3-quart casserole dish that has been sprayed w/ cooking spray. Cover with mixture. Bake at 350 for 45 minutes. It is so easy and delicious! What’s a newlywed girl to do?!? She has no “old” recipes! Slice your mushrooms and onions and sauté separately until done or put in foil on the grill with a pat of butter until done. 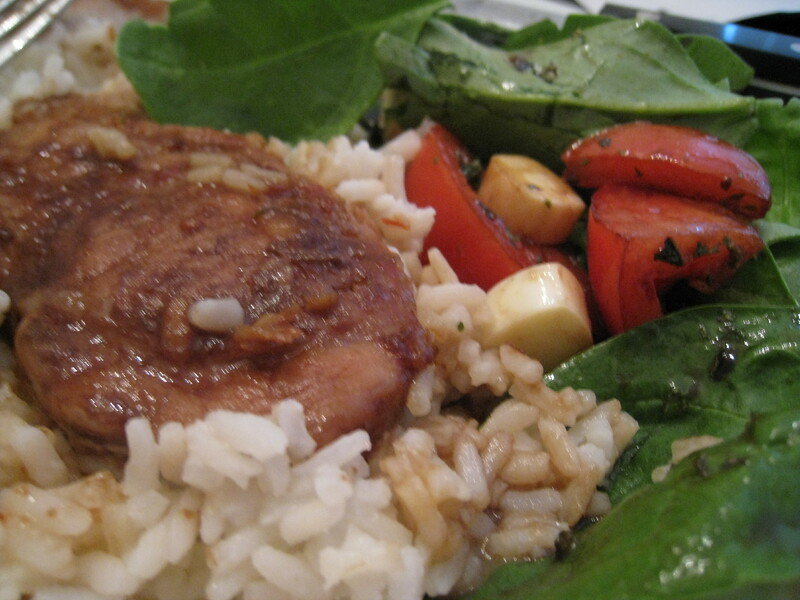 Grill your chicken breasts and cut up in small pieces or take all the meat off the rotisserie chicken. 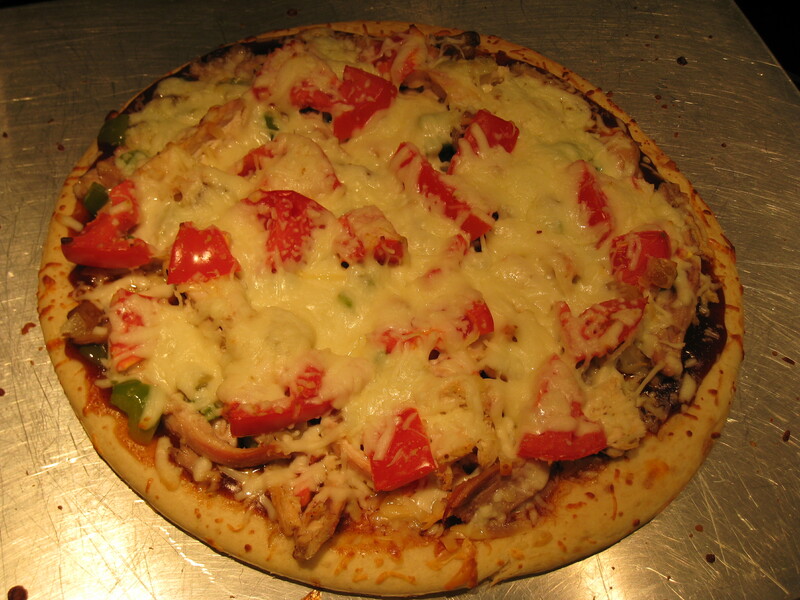 Layer your pizza as follows: Crust, BBQ sauce, chicken, onions, mushrooms, tomatoes, Gouda cheese, mozzarella cheese. Bake or grill pizza until cheese is melted. Top with Parmesan!